Before the 19th century, people generally used non-electrical lightings such as candles and kerosene lamps. Since 1879, Edison invented the first incandescent lamp, opening the first revolution in the history of human lighting. By 1960, the first artificially fabricated LED began to enter the field of vision of scientists. Then in 1969, the first red LED, the 1976 green LED, the 1993 blue LED, and the 1999 white LED were introduced. In recent years, with the rapid development of the global energy crisis, with the rapid development of LED lighting technology, semiconductor lighting has launched a global LED lighting boom with its outstanding energy-saving and environmental protection characteristics, setting off a second revolution in the lighting industry. “The global LED lighting industry has experienced more than 50 years of development. At present, semiconductor lighting will replace traditional lighting as the main trend of lighting development. Governments are also competing to introduce policies and plans to promote the development of semiconductor lighting industry, such as the US National Research Project on Semiconductor Lighting and Solid State Lighting (SSL) Research and Development. The plan, the European “Rainbow Project”, Japan’s “21st Century Lighting” program, and the Korean “Photonics Industry Branch – GaN Semiconductor Luminous Plan” reflect the importance of countries’ LED lighting industry development, industrial economy and environmental energy effects. 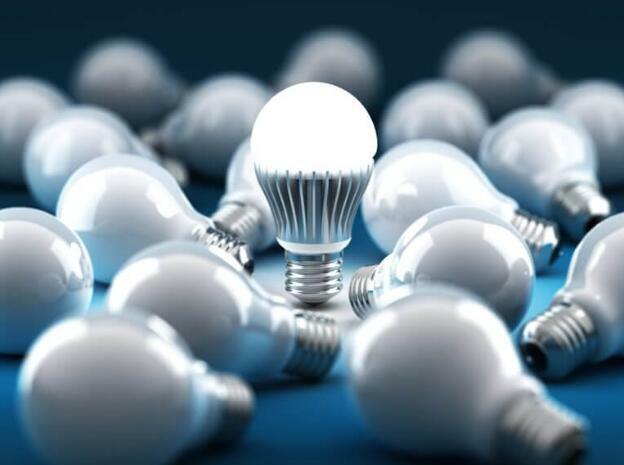 Some countries even the semiconductor lighting industry will be upgraded to a national strategic level for system deployment, and government departments will promote energy-saving lighting. With the implementation of the “global ban”, coupled with the spread of the price war of LED lighting products, the popularity of LED lighting has been advancing rapidly, and the global penetration rate has also increased rapidly, initially forming the three regions of Asia, Europe, and North America. The LED lighting industry is distributed and competitive. The European region has relatively strict regulations on environmental protection and energy conservation and has strict energy conservation and emission reduction targets. Since early, it has started to implement relevant laws and regulations on the ban on the use and phasing out of incandescent lamps and has repeatedly introduced subsidy plans for LED lighting. Currently, lighting accounts for 12% of the daily electricity consumption of European households (excluding heating and water heaters). The European government hopes to reduce the proportion of lighting in household electricity consumption to 6% by 2050 by popularizing LEDs and other lighting methods. Therefore, the application and promotion of LED lighting products in European countries is still relatively strong. The popularization rate of LED lighting products is relatively high. The low-power (mainly below 10W) ? ?LED bulbs and lighting products have been widely sold and used in developed countries such as Europe and America. North America has the world’s most advanced upper and middle reaches technology, with world-class chips and components, the continuous improvement of light efficiency and the trend of price decline, driving the rapid development of LED technology and the rapid growth of application prospects. At the same time, it is obvious from the optimistic economic environment, the favorable “ban” policy, the relatively complete supporting technical support and the huge potential demand. At this time, North America has become a new competition for global LED lighting companies. In Asia, governments are actively promoting the promotion and application of LED lighting products to varying degrees, including in Japan, South Korea, and Taiwan. In 2010, the Japanese government began implementing the policy of redeeming LED products to encourage and support residents to use energy-saving and environmentally-friendly lighting products. At the same time, Japan’s LED lighting technology and the market have been at the forefront of adopting energy-saving practices, and its products have been popularized in the Japanese market. The degree is growing at a high speed. South Korea has set a goal of “becoming the world’s top three LED industry powers”, and its government has vigorously promoted LEDs. The large group has also continued to enter the LED lighting industry and actively tap the LED lighting market. On July 1, 2014, the Ministry of Economic Affairs of Taiwan began to implement the minimum allowable energy consumption benchmark for LED bulbs and fully assisted consumers in implementing the “Energy Saving Action” for lighting energy conservation, making it the first mandatory energy source for LED bulbs in Asia. Efficiency control area. At present, the LED lighting industry in Asia has entered the golden period of development. The changing market environment and the aggressive attitude of various companies have continuously injected new elements into the LED lighting industry and brought more intense competition. From the specific needs of the global LED lighting market, it is currently concentrated in Japan, China, Europe, and the United States.